Ciao lovelies! Today’s post is for anyone who gets periods. We are talking about how to manage your menstrual cycle, because sometimes it’s hard because you feel so tired and lethargic and worn out. So what can you do to help yourself? - You can use a heating pad or make your own (using this tutorial by Instructables). If you don’t have a heating pad and don’t have energy to make one, try throwing a towel into the dryer and holding it on your stomach once it comes out warm. This will help with the pain. - Avoid caffeine about a week before your period and on your period so that the cramping isn’t as severe. - Drinking lots of water can help alleviate some of the pain. - Exercising the week before can help, as well as doing simple yoga poses during the period week. - Taking vitamin B 12 in recommended doses can be good for managing mood swings, as can vitamin D during the winter months. - Journaling can help manage unhappy feelings. - Reminding yourself that your feelings, while valid, are a product of hormonal changes and don’t reflect you as a person. 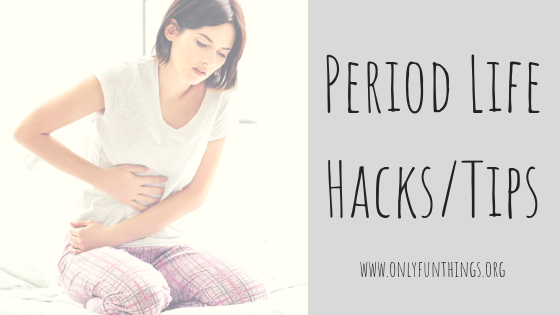 What tips do you have for people experiencing periods? Leave them in the comments! Thank you so much for reading, remember to love yourself, and I'll see you in Wednesday's Royals Lesson!